Hello! It's Day 3 of sneak peeks from Taylored Expressions! We are celebrating Release Week with some fabulous giveaways! Visit the TE Blog each Sneak Peek Day this week for details on how you can enter to win! For my first project today I actually used two new stamp sets. The sentiment comes from the set Big Bold Thanks and the darling images are from the new addition to the Pawsitively Purrfect series called Trixie with Coordinating Dies! I stamped the images with Memento Tuxedo Black, colored with Copics and cut them out with the coordinating dies. I used the Banner Stacklets 1 Dies to cut the fishtails and the dp is My Mind's Eye Miss Caroline Dilly Dally. 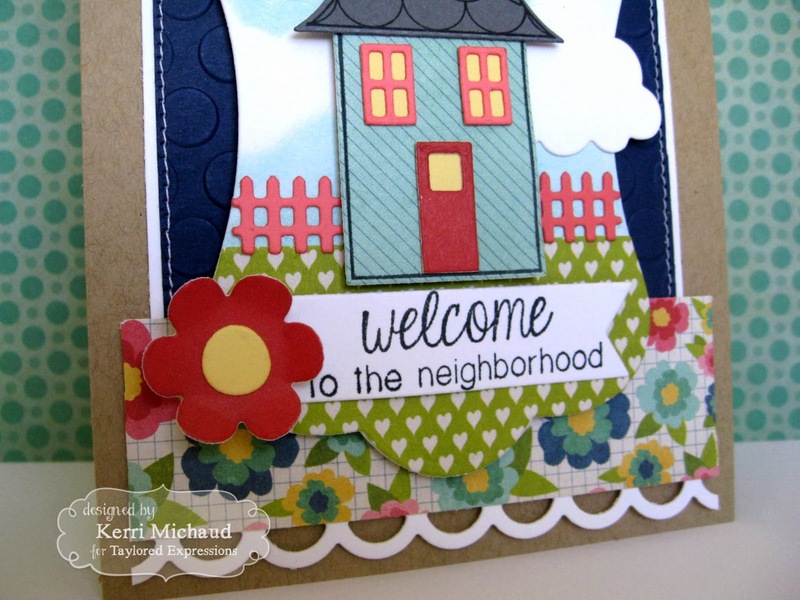 For my next card I used a really fun new stamp set called Welcome Home along with a new die set called Build a House! I LOVE this new set! 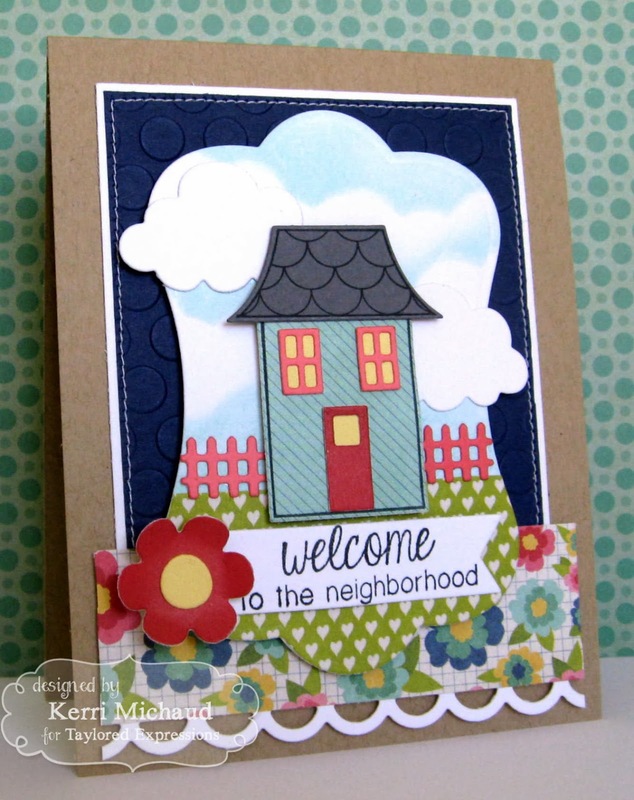 It comes with so many different parts and pieces so you can build adorable houses along with several fabulous sentiments! I cut the image panel with a Label Stacklets 3 Die and used some Echo Park Paper Co. Beautiful Life dp. The border was cut with the Open Scallop Border Die and the sentiment was stamped onto a Banner Stacklets 1 Die. I added the flower that I cut with the new Bloom Where You're Planted Dies. The fence, clouds, house, windows, and door were all cut with the coordinating Build a House Dies-so much FUN! The rest of the Baker's Dozen have sneak peeks to share today too! Gorgeous cards! Love the colors that you used! Super cute cards, thanks for the inspiration! that house is great!!!! very cute. Your cards are absolutely adorable!! 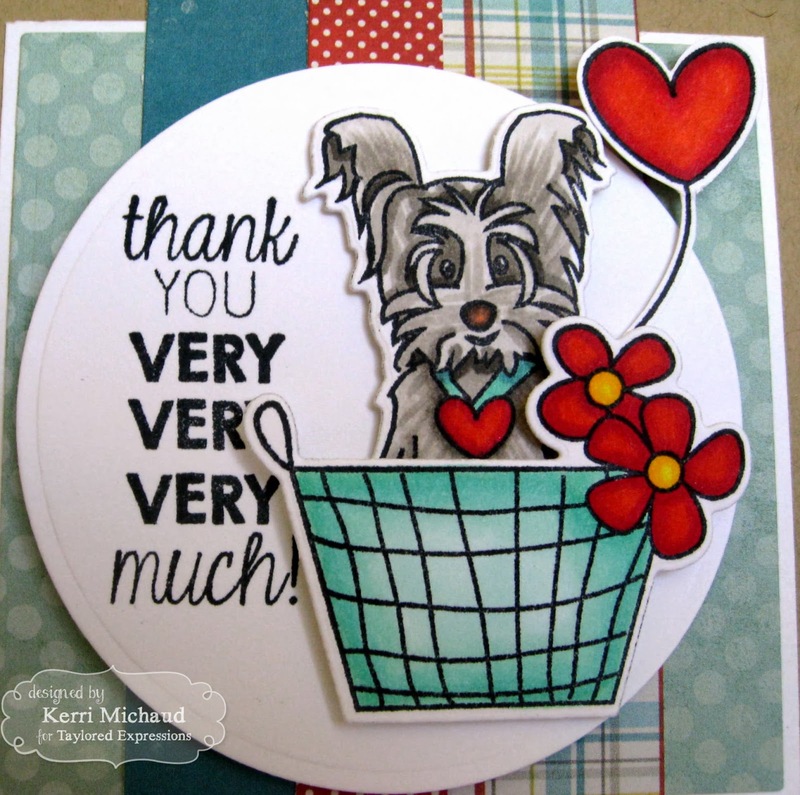 The dog on your Thank You card is so sweet! TFS!